Microsoft SQL Server is coming to Linux. What are the implications for Windows Server? Today I’m excited to announce our plans to bring SQL Server to Linux as well. This will enable SQL Server to deliver a consistent data platform across Windows Server and Linux, as well as on-premises and cloud. We are bringing the core relational database capabilities to preview today, and are targeting availability in mid-2017. Why do this? The short answer is that like any other software company, Microsoft wants to sell more licenses, and porting its premier (and excellent) database manager to Linux extends its market and helps it compete more directly with the likes of Oracle and even MySQL. However that begs a second question, which is why has Microsoft not done this before? After all, SQL Server has been around forever. The first release was in 1989, jointly with Ashton Tate and Sybase, and was for OS/2. The first Windows release was 1993. There was a significant leap forward in SQL Server 7.0, in 1998, which I think of as the beginning of the product as we know it today. Microsoft in the nineties and in the first decade of the new millennium was all about Windows. Dominant on the desktop, the idea was to build synergies between Windows desktop and Windows server so that running server applications like Active Directory, Exchange and SQL Server was the obvious choice. The Visual Studio development environment pushed developers towards Visual Studio in subtle and not-so-subtle ways. Some programming language innovations like LINQ to SQL (a form of Language Integrated Query) only worked with SQL Server. It was not quite lock-in, it was always possible to use a different database engine, but SQL Server was always the default, used in all the examples and documentation, and the best understood when you needed support. Today Microsoft’s circle of dominance is breaking down. Windows still has desktop dominance, but the importance of the desktop is less, thanks to mobile devices which mostly do not run Windows, and a move away from desktop applications towards web applications that do not care which operating system you use. Active Directory is still important, but cloud computing giants like Google and Amazon are encroaching on that space. “Only on Windows Server” has become a liability rather than the key to keeping customers locked to Microsoft’s platform. You can see this in the company’s development strategy, which is migrating towards a cross-platform implementation of .NET as well as embracing iOS and Android via the recently announced Xamarin acquisition. You can also see it in the Azure cloud platform, and Microsoft’s partnership with Red Hat for Linux on Azure. The company is happy to take your money whatever operating system you choose. It is early days though, and Microsoft is still a Windows-centric company. SQL Server on Linux, expected sometime next year, will probably not be feature-complete compared to SQL Server on Windows – I am guessing, but things like .NET Stored Procedures may be tricky to get right, as well as features like in-memory databases that are tightly integrated with the operating system. It is worth noting that cross-platform is actually a burden as well as a strength and may involve compromises. It will be fascinating to see how performance compares on equivalent hardware. Microsoft is now betting than opening up new markets for SQL Server is more important than keeping customers hooked on Windows Server – especially as that last strategy is failing in the cloud computing era. Finally, there is the question I posed in the title of this post. 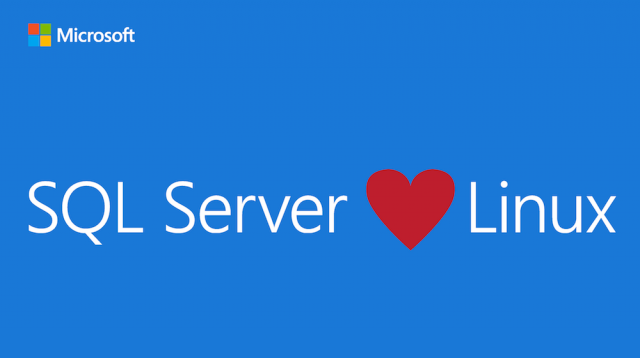 How does moving key server applications to Linux impact the appeal of Windows Server? After all, Linux licenses are generally cheaper than Windows Server and in some cases free. The answer is that it is one less reason to buy Windows Server, presuming SQL Server works properly on Linux. You can see this as a process of commoditizing the operating system so that in time expensive server operating system licenses are a thing of the past. This is probably not a good trend for Microsoft. It can still prosper though if you rent your virtual infrastructure from the company and use its cloud services, like Azure and Office 365. Another way of looking at this is that there is more pressure on Windows Server architect Jeffrey Snover and his team to make Windows Server better than Linux, so that you want to run it because of its merits, not because it is the only way to run SQL Server or Exchange. Somehow, with the opening of basically the whole .NET stack, I doubt it will be tricky. Plenty of .NET on Linux (and OS X) already. Look at the prices of SQL Server and Windows Server. The revenue loss will be less than 10%. Now consider that not every customer will drop Windows Server. The revenue impact is more likely to be 2-3%. To break even on the deal, Microsoft would only have to pick up 1% share in the database market from ASE, DB/2, and Oracle. At this point, one wonders about the long-term survival of ASE. “T-SQL for people who don’t want to run Windows” is looking like a perilous niche, now that Microsoft is in the game. You may be interested by RSQL, a very simplified clone of MS SQL Server that can execute basic TSQL scripts. It only implements the most basic commands of MS SQL Server. It is still early beta. Many features must be added yet, but for very simple C# applications, it may be good enough. It can manage millions of records without problem. It runs on Linux and it is free (GPL license).